Sugar gliders are unique and adorable pets, but they have definite pros and cons to consider before purchasing. You must weigh the sugar glider's needs and nuances against your own lifestyle and preferences to ensure you can meet the needs of these cute exotic animals. A sugar glider can cost $100 to $300, much more than other rodent pets. 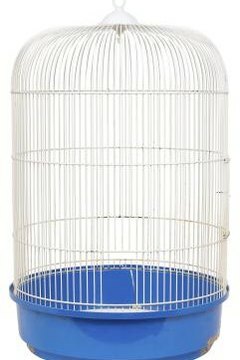 Appropriate cages and toys can drive up costs. Sugar gliders require food designed specifically for gliders in addition to fresh fruit. If you make your own glider meals, you'll need to include live insects or mealworms in your pet's diet. Veterinary care may be expensive if your sugar glider gets sick, because you'll need a vet who specializes in exotic animals. However, sugar gliders don't require vaccinations or frequent vet visits as long as they are healthy. A bonded sugar glider can be a joy to own because they are extremely sweet and dedicated, and your bonded buddy is certain to be an affectionate, friendly pet. Bonding does require work, however, and you'll need to be willing to spend a lot of time with your glider one he is bonded so he doesn't get lonely or bored. In the wild, sugar gliders live in large colonies of 20 or more animals, so getting multiple sugar gliders is a good way to ensure that your pets get the interaction they need. Sugar gliders require more care than many common domestic pets. You will have to "glider-proof "your home, which involves closing toilet lids, ensuring that doors and windows are secure, locking any chemical cleaners or medicine out of your glider's reach, and blocking small hiding spaces and sealing escape routes. You'll need to frequently clean your sugar glider's cage. Like birds, gliders defecate and urinate directly onto the floor of the cage, which can become smelly if you don't clean out the cage bottom on a regularly scheduled basis. Gliders clean their own bodies, so they don't require baths. Captive sugar gliders can live for up to 15 years, so purchasing one is a long-term commitment. Because they are small and fairly delicate, they are not recommended for young children, although responsible adolescents or teens can typically handle sugar gliders appropriately and may be able to commit to the feeding and cage-cleaning requirements this exotic pet needs.